Every Country’s Sun certainly has some very lovely, dense, and poignant moments borne out of creative and unpredictable arrangements, yet the majority of it fails to leave any impression. Few modern post-rock acts are as popular and longstanding as Scottish quartet Mogwai. Titled after the adorable yet problematic species at the forefront of the Gremlins movies (as well as the Cantonese word for “ghost” or “devil”), the band was founded by bassist Dominic Aitchison, guitarist Stuart Braithwaite, and drummer Martin Bulloch in 1995 (while multi-instrumentalist/vocalist Barry Burns joined in 1998). True to their name, the foursome’s proclivity for pleasantly ethereal atmospheres, chaotic tonal shifts, and occasional dreamy vocals has produced many highlights within the genre. It’s disappointing, then, that despite some enjoyable moments, their latest effort, Every Country’s Sun, doesn’t measure up to its predecessors. While much of the Mogwai formula remains, this ninth studio outing is significantly less varied (in terms of both timbres and levels of intensity), melodic, touching, and memorable than much of what preceded it. 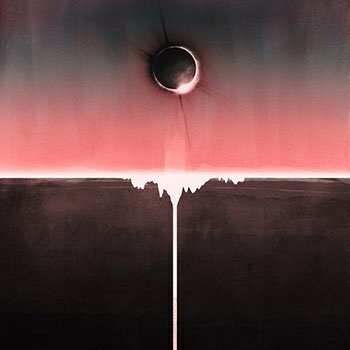 Every Country’s Sun marks the first Mogwai journey without guitarist/programmer John Cummings, who left in 2015 to pursue other projects. This may account somewhat for the diminished diversity on the record, as such incidents usually have detrimental results on the sound and future of the band (although Mew proved to be an exception to that rule with this year’s impressive Visuals). Like many albums released this year, it was inspired in part by recent global turbulence. Braithwaite clarifies: “What's going on in the world politically and socially has to affect you.... We were vaguely getting over the Scottish referendum, then the death of David Bowie, along comes Brexit, and then Trump.... I think it maybe feels like some kind of shield from that.” Although parts of it effectively convey “gracious elegance, hymnal trance-rock, and transcendental euphoria” (as the press release describes) while recalling groups like Russian Circles, God is an Astronaut, Godspeed You! Black Emperor, Anathema, Pixies, and Nirvana, far too much of it meanders along without enough innovation or intrigue to be wholly worthwhile. The LP starts out strong, with forlorn guitar arpeggios and bass lines melding into ominous digital oscillations and affective keyboard notes as “Coolverine” kicks off. Shortly thereafter, Bulloch adds simple beats to keep it grounded, while additional instrumental layers (including what sounds like a saxophone), as well as some faint backing vocals, culminating in a beautifully frantic opener. Afterward, “Party in the Dark” provides quite the vintage contrast with a “head-spinning disco-dream double-helix echoing New Order and the Flaming Lips”; also, it conjures recent Alcest in its rough shoegaze patterns and wraithlike vocals. Other highlights include the piano-enhanced “Brain Sweeties” (whose monotony is partially excusable because of its dynamic growth and consistent emotion), the comforting tranquility of “1000 Foot Face”, and the involving evolutions from calmness to chaos that permeate “Don’t Believe the Fife” and the closing title track. Each contains a sort of cinematic elegance and grandiosity that demonstrates how well Mogwai composes under a singular vision. Although those pieces have wonderful passages, don’t get me wrong, they could still offer more to warrant their lengths and maintain engagement; in a way, they stand out almost by default rather than merit since they’re simply the least vapid. Elsewhere, inclusions like “Crossing the Road Material” and “20 Size” never offer anything sufficiently gripping. As for “aka 47” (a clever title, sure), it’d be a sublime gem if it were, say, a 60-second interlude instead of a nearly four-and-a-half-minute voyage. There’s also “Battered at a Scramble” and “Old Poisons”, two relatively grungy and colorful compositions that are ultimately too disordered and similar to each other to deserve commendation beyond being significantly different from the rest of the disc. Every Country’s Sun certainly has some very lovely, dense, and poignant moments borne out of creative and unpredictable arrangements, yet the majority of it fails to leave any impression other than boredom. The main problem isn’t so much what is being made, but rather how long it all lasts (so either more should be going on or what is going on shouldn’t take so long). In any case, longtime fans of Mogwai will probably enjoy this one to some extent, but there are certainly stronger post-rock options out there both inside and outside of their discography.